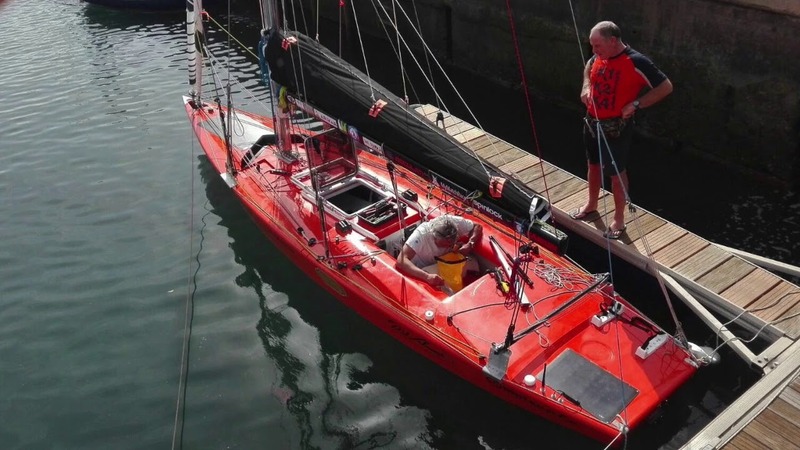 he was able to set his record by landing alone and thus bringing to an end the first transatlantic solo crossing on board a Star. 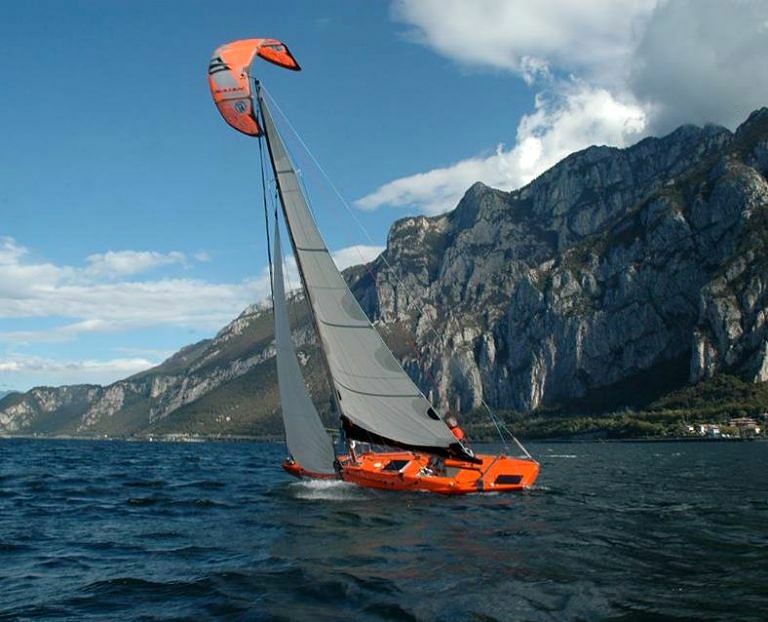 FLY SOLARTECH feels honoured to have followed Dario in this Italian venture as a technical partner. Dario left on the 11th November from Tenerife on board his Star (Pa2dh) that had been carefully modified in order to face the adverse ocean conditions. The arrival, initially planned in Nassau, was then moved to Martinique because of some technical problems. During the crossing Dario actually had to face many difficulties. After only 1000 miles from the departure he was forced to stop in Cape Verde in order to fix the electrical system and to change the batteries. Even after this stop, the weather conditions have not been helpful: 25 knots wind force and ocean waves made the sailing difficult increasing the risk of endangering the electrical system again and of damaging important instruments – e.g. autopilot and desalter. Nevertheless, the FLY SOLARTECH photovoltaic panels successfully contributed to this venture. They proved to be highly resistant to extremely stressful conditions providing energy to Dario’s boat for the entire crossing. FLY SOLARTECH achieved its goal ensuring the energy autonomy necessary for the onboard instrumentation. The photovoltaic system Dario has used for his boat is composed of two solar semi-flexible ETFE panels, one at the bow and the other aft, generating a total amount of 140 W and occupying less than one square meter. 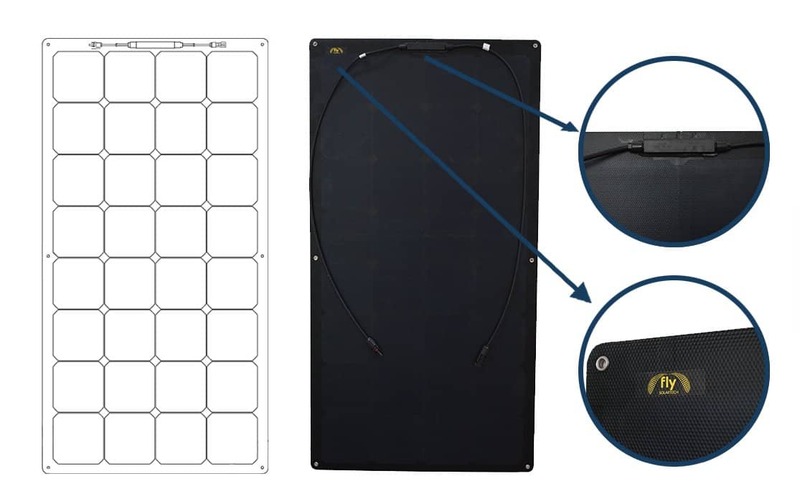 The panels used belong to the SGM-FLY-S2 series and have an IP68 protection rating with an anti-reflective surface that can be walked on. The lower surface instead is made of black glass fiber for a total thickness of 3mm panel. 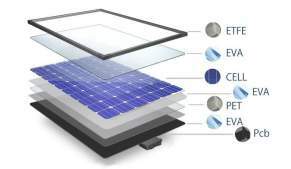 The flexible panels SGM-FLY-S2-110W and SGM-FLY-S2-30W are built according to the FLY SOLARTECH 7 Layers Technology combined with the performance of the third generation of SunPower Maxeon photovoltaic cells with an efficiency of 23.8%. We congratulate Mr. Dario Noseda on the setting of this important record: many other had already crossed the Atlantic Ocean but nobody had ever done it on board a Star.